What are the objectives in accounting for income taxes? Tax accounting is one of the largest subsets or specializations within the field of accountingAccountingPublic accounting firms consist of accountants whose job is serving business, individuals, governments & nonprofit by preparing financial statements, taxes. In terms of corporate finance, there are several objectives when it comes to accounting for income taxes and optimizing a company’s valuation. Firstly, a company’s income tax accounting should be in line with its operating strategy. That is, to maximize profits, a company must understand how it incurs tax liabilities and adjust its strategies accordingly. Secondly, income tax accounting can allow a company to maintain financial flexibility. There are different effects of funding the company’s operations with debt and/or equity, and a company’s capital structure can influence income taxes. Knowing these effects will allow the company to plan accordingly and transitively maintain their financial flexibility by keeping their options open. Finally, accounting for tax allows the company to manage cash flow and minimize cash taxes paid. It is beneficial to postpone payment of taxes into the future as opposed to paying taxes today. A company will want to take tax deductions sooner rather than laterPermanent/Temporary Differences in Tax AccountingPermanent differences are created when there's a discrepancy between pre-tax book income and taxable income under tax returns and tax accounting that is shown to investors. The actual tax payable will come from the tax return. This guide will explore the impact of these differences in tax accounting to maximize the time value of their money. What should an analyst understand about tax? Tax is an intricate field to navigate and often confuses even the most skilled analysts. This is keeping in mind that there are numerous tax codes and policies in any given jurisdiction, and numerous jurisdictions with different tax policies to exacerbate the effect. Tax as recorded in a company’s financial statement rarely ever matches the taxes filed in their tax returns. This is because each item (company financials and tax return) have different purposes, users, and accounting treatment. The company’s financials are intended for investors and lenders, and – as such – are made with application and dependability in mind. 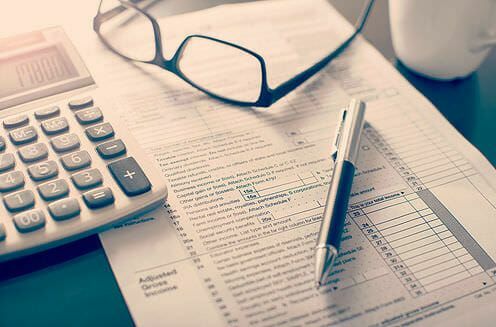 In contrast, the tax return is intended for the government or corresponding tax body, and is made with the purpose of adhering to public tax policy. The financial statements will report a tax expense, but the true tax payable comes from the tax return. The dichotomy in reporting these two items creates differencesPermanent/Temporary Differences in Tax AccountingPermanent differences are created when there's a discrepancy between pre-tax book income and taxable income under tax returns and tax accounting that is shown to investors. The actual tax payable will come from the tax return. This guide will explore the impact of these differences in tax accounting that need to be reconciled and accounted for. These differences are either permanent differences, which never reverse, or temporary differences, which are timing differences that will reverse over time.